for Worswell Barton Farmhouse Bed and Breakfast, Higher Shippen Cottage, Camping Pods. The Wurzell Whistle, Wurzell Wedding Venue. – have separate booking terms and conditions available on request. 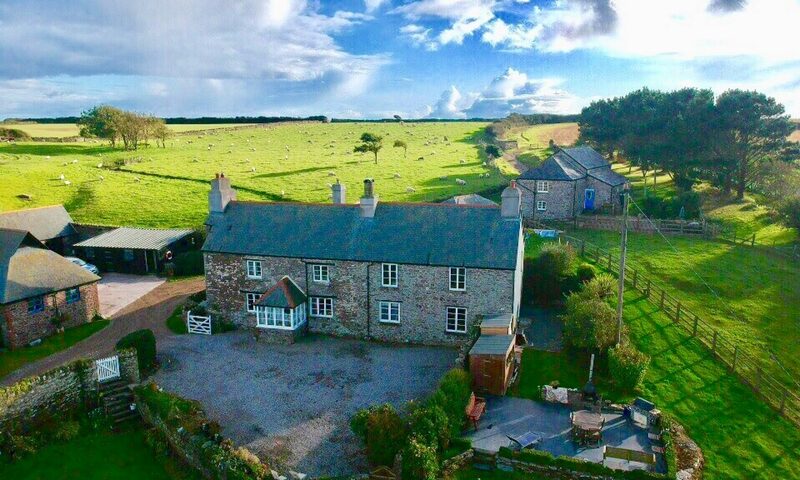 1 Bookings may be taken via e-maiI or telephone, which then must be followed by receipt of a completed booking form (which will be sent to you either by email or post – for Worswell Barton Farmhouse B&B and Higher Shippen Cottage). The deposit is to be paid within 1O days of email or telephone call. If no deposit has been paid in that time the booking will be cancelled. 2 All bookings are provisional until a full / deposit has been received and a booking reference has been issued. 1 night stay payment is due in full. 4 Payments are accepted by BACS, Cheque. or Via PayPal. 6 Balances: for Bed and Breakfast balances are due on the day of arrival or before, if your stay is less than 3 days. Otherwise the balances will be due for stays of 5 days or more, 6 weeks prior to commence of stay, including Higher Shippen Cottage. 7 ALL deposits are non-refundable, other than in (9). 8 Cancellation by YOU: If you cancel your booking deposits are non-refundable. 9 Cancellation by US: In the event of cancellation by us Mr P B Rogers or Mrs J A Rogers only, at any time prior to your stay your deposit will be returned in full. 10 Arrival and Departure: The earliest arrival is 4.30pm and the latest departure is 10.30am Unless by prior arrangement. • At all times to supervision children, babies and any adults requiring care, along with dogs and they remain your responsibility at all times. • To leave the accommodation in good order, and a clean condition, otherwise extra cleaning charges will be levied to you. • To pay for any damage or loss however caused, except for general wear and tear. • Not to allow the property to be occupied by more than the maximum stated on booking form. • Not to cause any annoyance or nuisance to any other guests, staying at Worswell Barton. • If at any time we Mr P B Rogers and Mrs J A Rogers deem any person not suitable to continue their stay at Worswell Barton Farmhouse because of unreasonable behaviour, damage or nuisance to other parties, the contract maybe discharged and you will remain liable for the whole cost of your stay, and no refund shall be due, you will also be liable to cover costs of other guests, who have been disturbed. 12 Dogs must be keep on a lead at all times around the farm yard, and be put into kennel on arrival, NO DOGS IN THE HOUSE or COTTAGE AT ALL. DOGS ONLY TAKEN BY PRIOR ARRANGEMENT. 14 Table bookings: We are happy to request a table at one of the local pubs for you with notice, but cannot guarantee a table will be booked. l5 Complaints: Any complaints should be made immediately or as soon as reasonably possible to us in order to give us the chance to sort out any situation which may arise. In every case the complaint must be notified before departure. It is specifically agreed by you that failure to notify a complaint immediately or as soon as possible or at all before departure will entitle us to refuse to entertain a complaint, irrespective of its merits. 16 Legal Provisions: The construction, validity and performance of the contract beteen us is governed by the Laws of England and Wales and the parties agree to submit to the jurisdiction of the English Courts. You agree that the contract is made at the owner’s premises and that any proceeding between the Parties shall be conducted in the County Court nearest the owner. l7 Insurance: It is recommended that you obtain holiday insurance for your stay. Clause headings are for the convenience only and do not form part of or affect the interpretation of these terms and conditions. The information in the brochure and website is believed to be true and accurate as at the time of going to press and all reasonable efforts have been made to ensure that descriptions given are accurate.